Sleep Inn Denver Tech Center in Greenwood Village sits on Costilla Avenue in the Denver Tech Center corporate park just off of Highway 25. 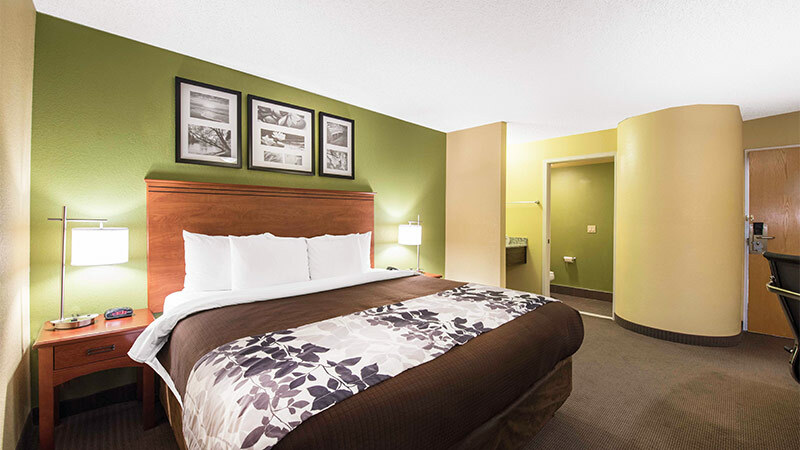 Our ideal location is within minutes to Historic Downtown Denver Colorado. 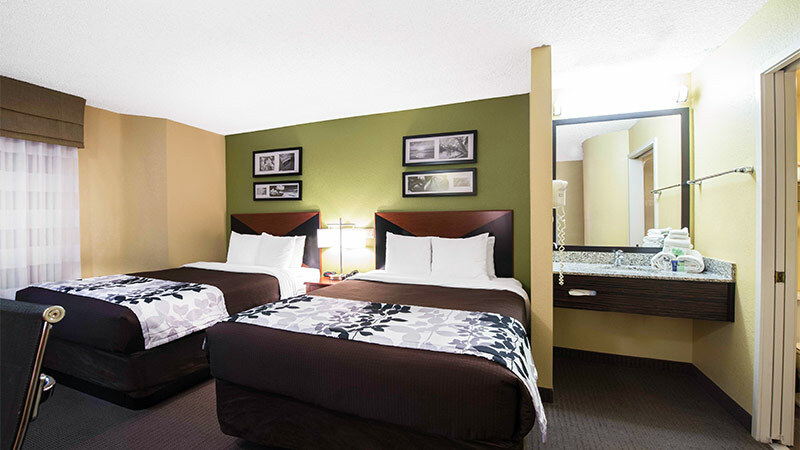 Guests of the hotel appreciate that we are 22-miles from the Denver International Airport. Denver Colorado which is nestled between the Rocky Mountains and the High Plains offers visitors mild summer temperatures and cold winters. The semi-arid climate is perfect for enjoying a Denver Broncos game in the Sports Authority Field at Mile High, or a concert at Coors Field, or the Fiddler’s Green Amphitheater. 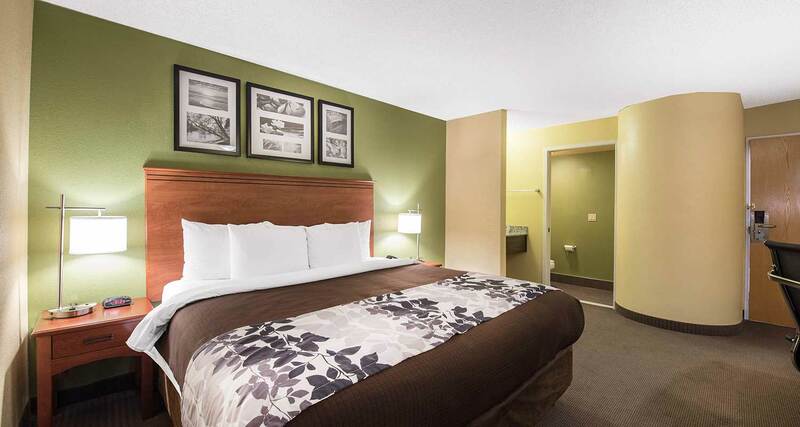 Guests of the hotel can take in an afternoon of hiking trails and wildlife watching at Mount Evans, Echo Lake, and the Mount Goliath Trail & Summit Trail, as well as Pikes Peak. 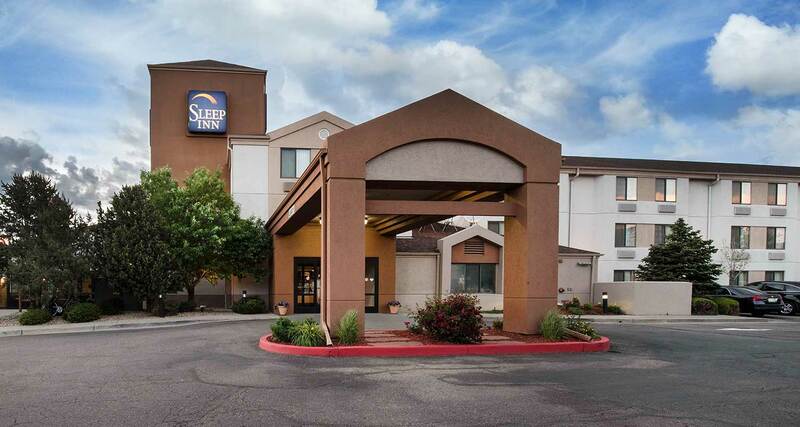 Sleep Inn Denver Tech Center in Greenwood Village is close to premium shopping; The Park Meadows Mall, Cherry Creek Shopping Center, the Outlets at Castle Rock mall, and the popular 16th Street Mall are all a short drive away. 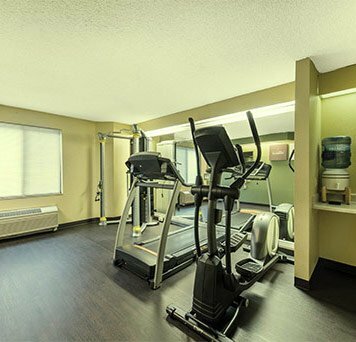 Other nearby popular attractions include the Denver Botanic Gardens, Denver Zoo, the Downtown Aquarium in Denver, Water World Water Park, and Elitch Gardens theme park. 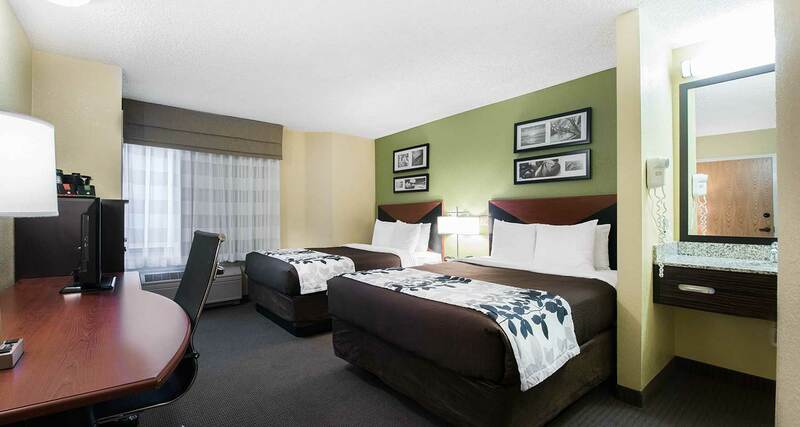 Denver Colorado offers world-class skiing and Sleep Inn Denver Tech Center in Greenwood Village is located 45-minutes from the best powder in the world. 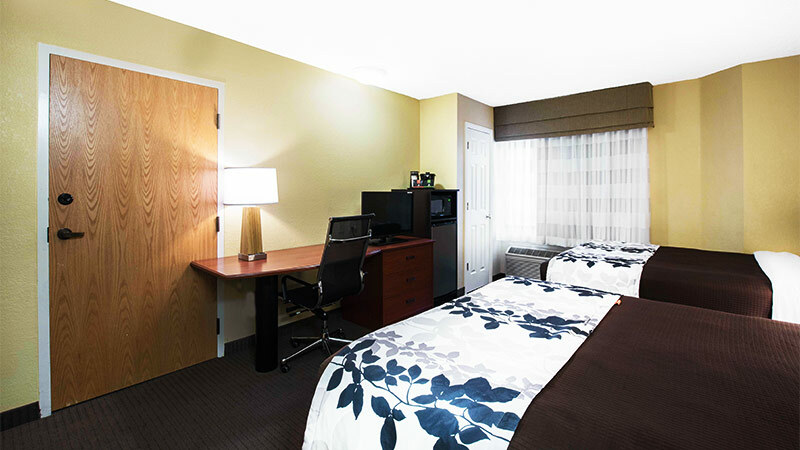 At Sleep Inn Denver Tech Center in Greenwood Village, guests experience the best that Denver Colorado has to offer. We look forward to being your host. 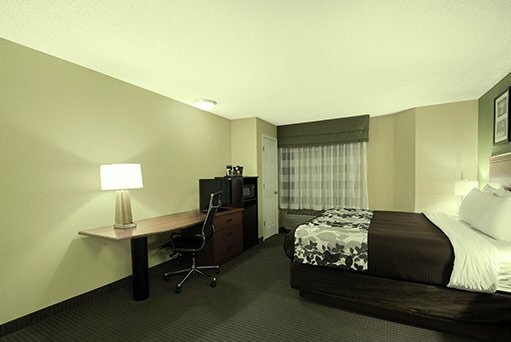 Guests of Sleep Inn Denver Tech Center in Greenwood Village Colorado feel right at home with our thoughtful amenities and guest services. 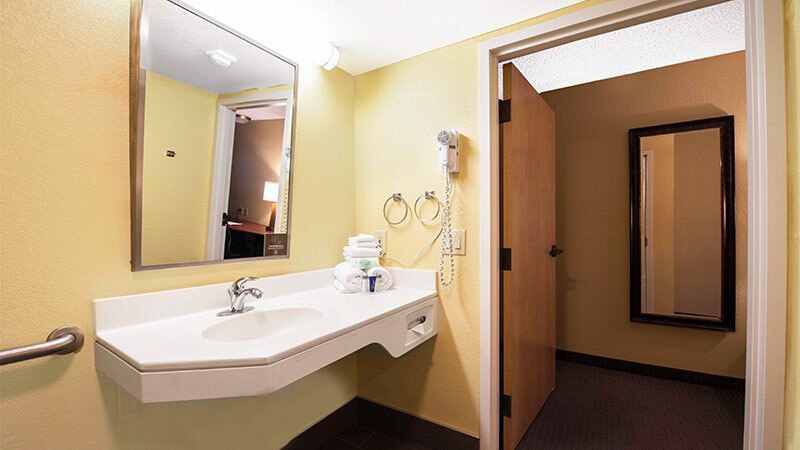 We provide a 100% smoke-free hotel, complimentary WiFi, guest laundry facilities, a multi-lingual staff, an indoor heated swimming pool, complimentary parking, select dog-friendly rooms, complimentary USA Today, and complimentary local calls. 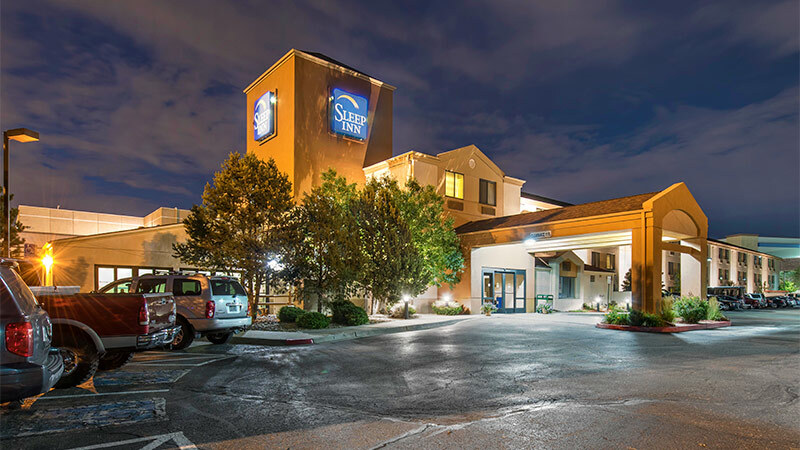 Guests of Sleep Inn Denver Tech Center in Greenwood Village are central to the popular attractions and outdoor activities that draw visitors to the area annually. 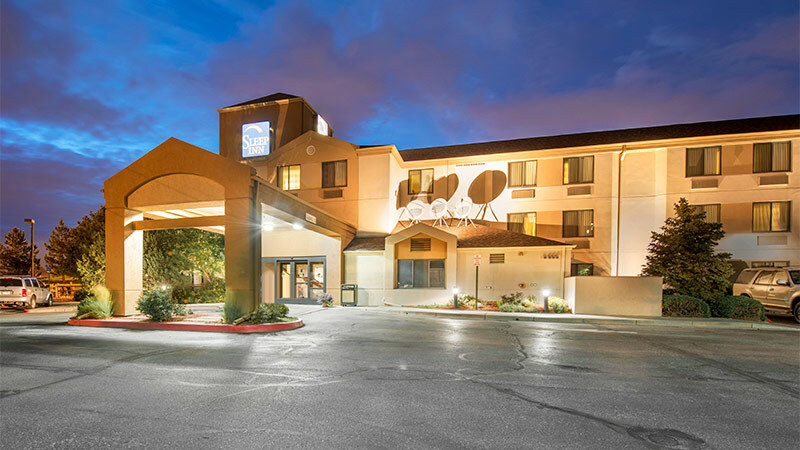 Popular nearby attractions that are within a short drive include the Denver Botanic Gardens, the Denver Zoo and The Downtown Aquarium in Denver. Families or couples looking for a full day of H2O induced thrill slides will enjoy the Water World Water Park. Elitch Gardens theme park is nearby and offers thrill rides, roller coasters, and a water park. 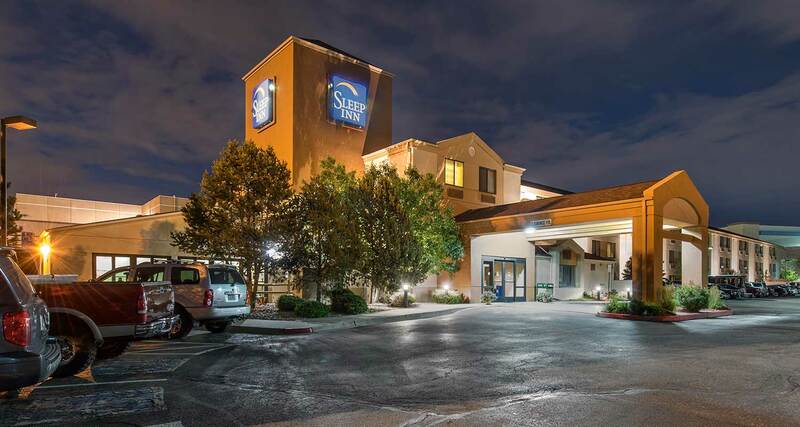 For those looking to shop, the Park Meadows Mall, Cherry Creek Shopping Center, Outlets at Castle Rock mall, and the popular 16th Street Mall are within a short drive from our ideal location near Historic Downtown Denver Colorado. 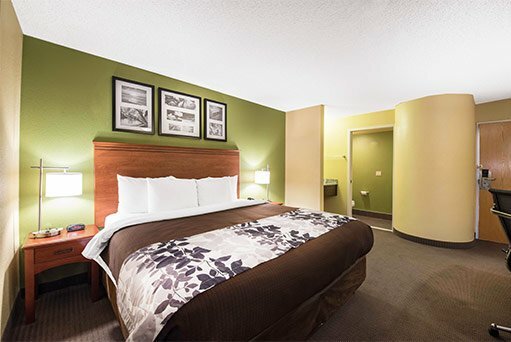 Guests of the hotel have easy access to Denver Broncos Training Center, The Sports Authority Field, Coors Field, and the Family Sports Center as well as entertainment venues like the Fiddler’s Green Amphitheater. Denver Colorado is known for majestic mountain ranges, skiing, and outdoor activities. Guests in search of an exciting outing can enjoy a full day of hiking on trails, or wildlife watching at Mount Evans, Echo Lake, the Mount Goliath Trail & Summit Trail, as well as Pikes Peak. 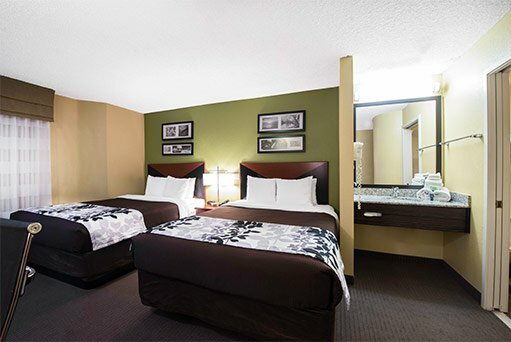 Sleep Inn Denver Tech Center provides spacious, well-appointed rooms ranging from King, Queen, Double, and Accessible Queen. 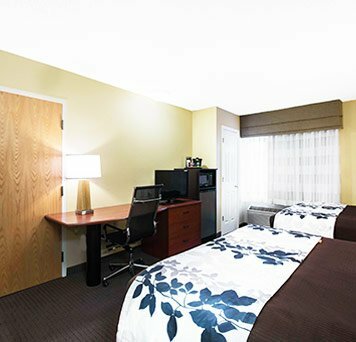 Each guest room features complimentary WiFi, a refrigerator and microwave, a 32' LCD television with premium HD channels, a work desk, a laptop safe, and an iron and ironing board. 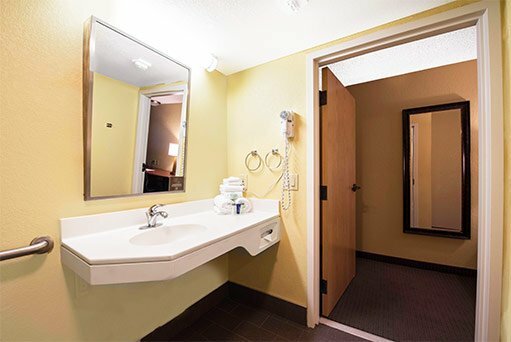 Each room is equipped with a private bathroom with a hair dryer and signature toiletries, vanity, and an in-room coffee maker. There is always something fun to do in Denver. 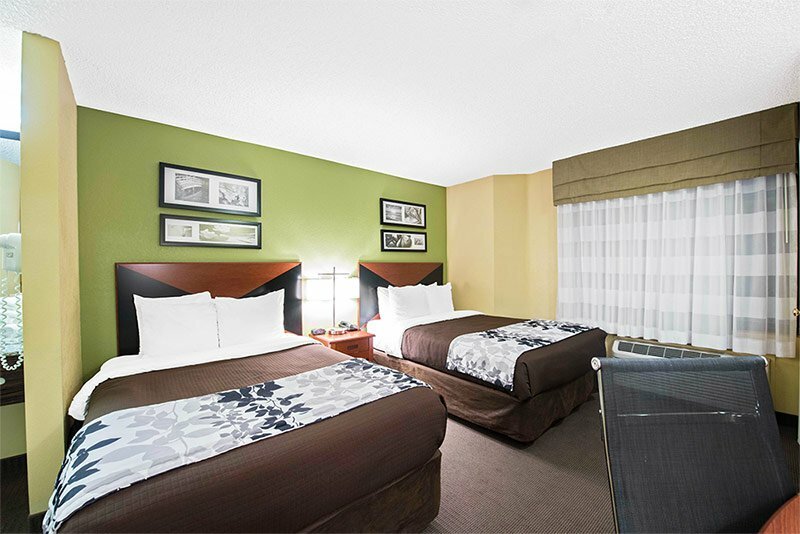 When you stay at Sleep Inn Denver Tech Center, why not book one of our Special & Packages to include your favorite leisure time activities. We even offer a dog friendly package with goodies for your four legged pal and a discount for you! 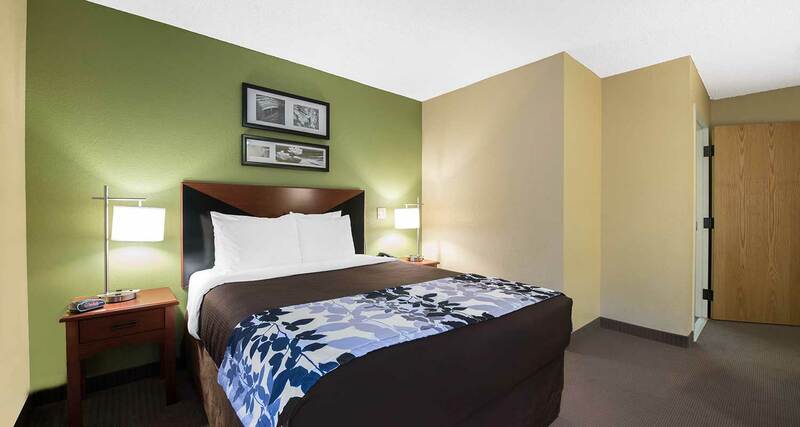 Sleep Inn Denver Tech Center is located on Costilla Avenue within minutes to downtown Denver Colorado. 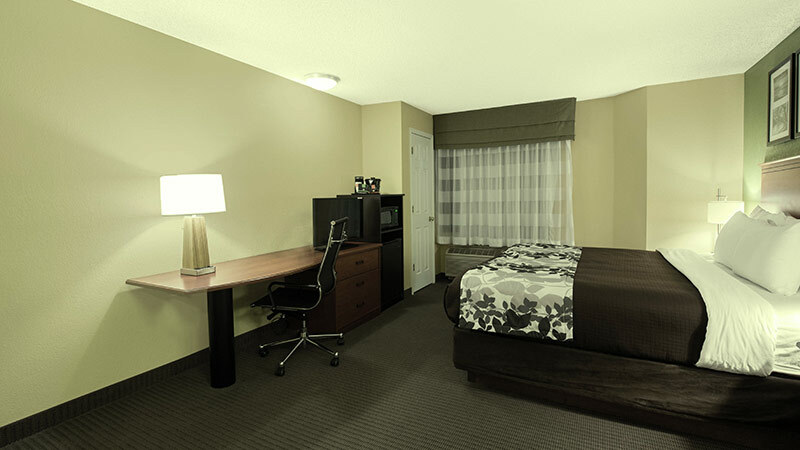 We are seated in the Denver Tech Center corporate park, and our location provides easy access to highways. 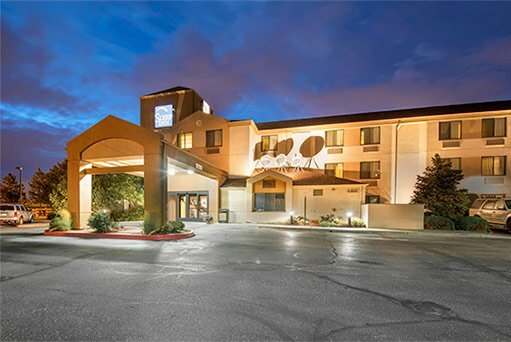 Guests of the hotel appreciate that we are just 22 miles from the Denver International Airport, and close to premium shopping, entertainment, sports venues, gardens, skiing, and restaurants. 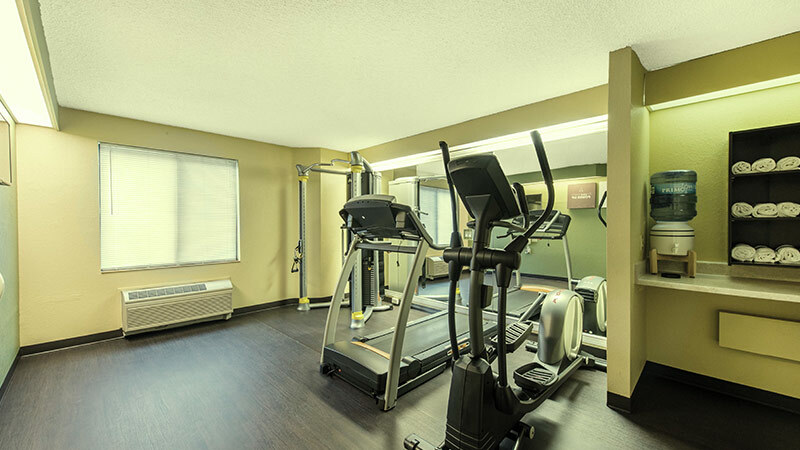 We invite you to see our spacious well-appointed guest rooms, indoor pool, beautifully manicured outdoor spaces, and our impressive indoor common areas.